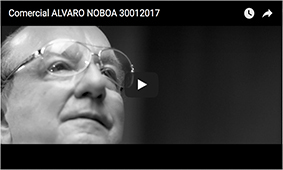 During the national convention national of the Adelante Ecuatoriano Adelante party, its leader Alvaro Noboa, accepted his presidential nomination, amid the ovations of national and provincial delegates, and his supporters, who were present. the proposal arose from hundreds of supporters and was proclaimed by the national director of the party Wilson Sanchez, the same that was then approved by the delegates of the National Electoral Council Marcos Jaramillo and Margarita Berrezueta. 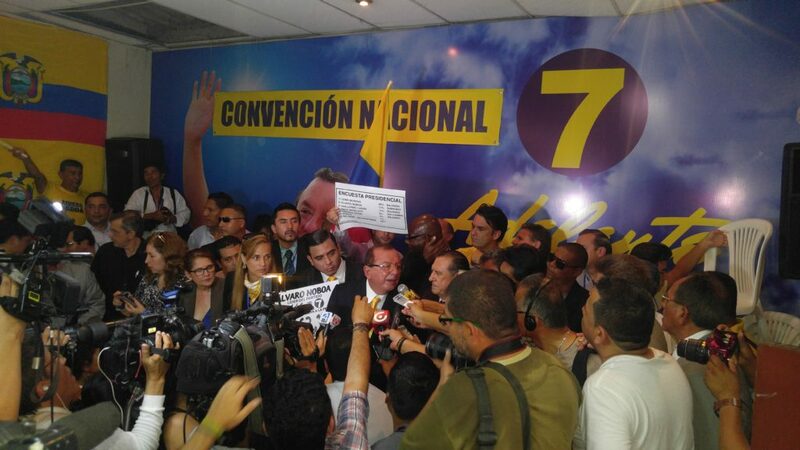 “Ecuadorians, I want inform you in this moment that I accept the candidacy to the presidency of the republic and I declare that I will be the new President of Ecuador from May 24th, 2017, with the inspiration of god and the support of the Ecuadorian people,” said the presidential hopeful after accepting his proclamation. Wilson Sanchez announced that on October 29 they will announce the name of the Vice-President candidate who will accompany the Ecuadorian businessman in his career to Carondelet. They will also disclose the names of the national and provincial assembly members and the Andean Parliament.